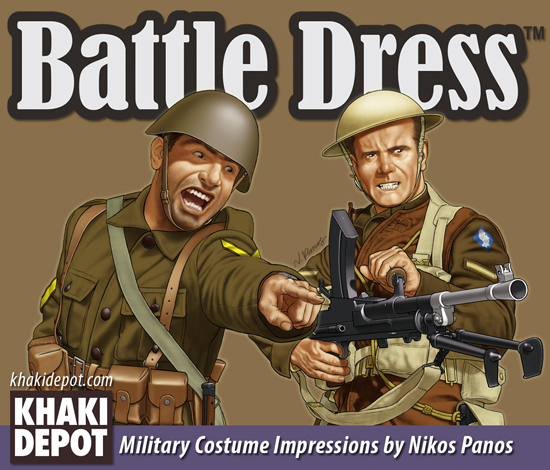 Nikos Panos was born in Athens, Greece, where he lives and works as a freelance illustrator and graphic designer, having undertaken various projects for a diversive client in Greece, Europe, Canada and the U.S.A.
During his national military service, while seconded at the 2nd Branch - Medals and Decorations Division of the Hellenic Navy General Staff, he had the rare opportunity of redesigning the official H.N. Uniform Regulations 1986/2003 Manual (currently in use) superseding the older 1965 Royal Hellenic Navy Manual. present (book & magazine covers, maps, diagrams, insignia and military costume plates). Most of his published work, involving research and mixed media artwork, has appeared in the Greek “Periscope Publications”, (Military History and Model Expert monthlies) and in “Communications S.A.”, (War Monographs and the Commando - Elite Series). In the early 2000s, he worked for “Andrea Miniatures” of Madrid, providing centerpiece illustrations for their Figure International quarterly over a period of two years. the staff in the identification, listing and restoration of their photographic and naval uniforms collection. Since 2003, his main focus has been on ancient Greek shield devices, following the work of G. H. Chase. and these combined efforts have resulted in a wide variety of reconstructions/depictions, and museum exhibits (G. Averof Armored Cruiser Museum).